My boys, my world! : Projects that WOW!!!! Bloghop!!! If you are new to my blog, here is just a little about myself. I am an Australian mummy to 3 boys and wife to Tim. 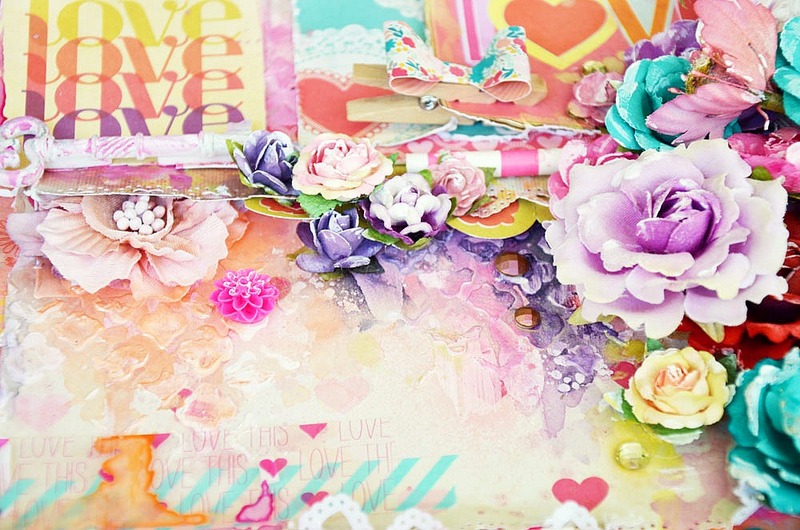 I have been scrapbooking/papercrafting for the past 9 years. I am addicted to the whole creative process, it's not just about capturing my families moments, it's very much my art!! Currently I design for Aussie Scrap Source and Shimmerz. I am also just about to finish up my 2 year term with Prima Marketing. 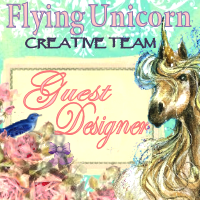 I am a guest contributor to this class and here is a sneaky peek of the project I made for it. 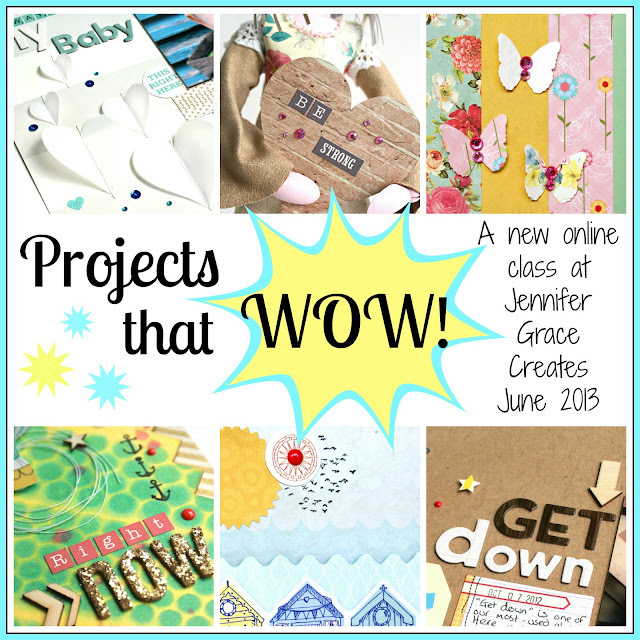 If you would like to know more about the class details visit Jennifer Grace Creates. Your next stop will be Riikka Kovasin !!! 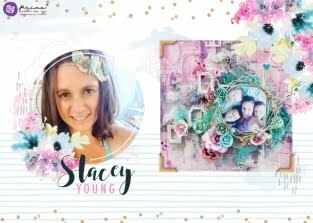 Don't forget to pop back to Jennifer Grace Creates if you get lost along the way, there you will find the master blog hop list. Thanks for hopping along and I hope you can join in these classes. Looks like a great class. Would love to win a spot. Good to see some international talent on this hop - looking forward to the class! Wow your sneak peak looks awesome!! Wow this sneak is amazing. Can't wait for the class! Looks like a great class! Thank you for the chance! Thank you for the chance, I would looove to win! 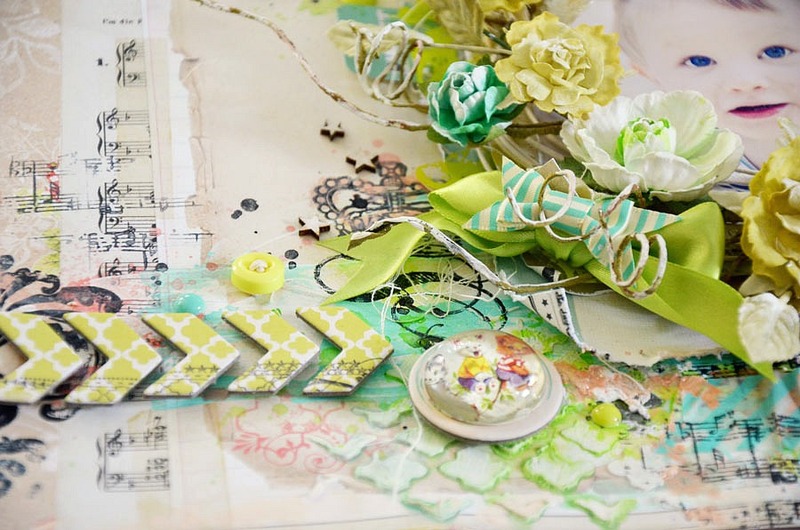 Sounds like a great class - I'd love to win a spot:) Love your sneak peek! I'm really looking forward to the class....your project looks great. There are so many lovely details in your sneak peek picture! Thanks so much for sharing! I can't wait to see the rest of your LO! Some very interesting technqiues on your layouts - thanks for the chance to win a spot in the class! Classes sound really interesting, I cant wait to see your project in full.